An attractive flat glass plaque crafted in clear and blue crystal featuring a peak design with thick multifaceted bevelled edges. 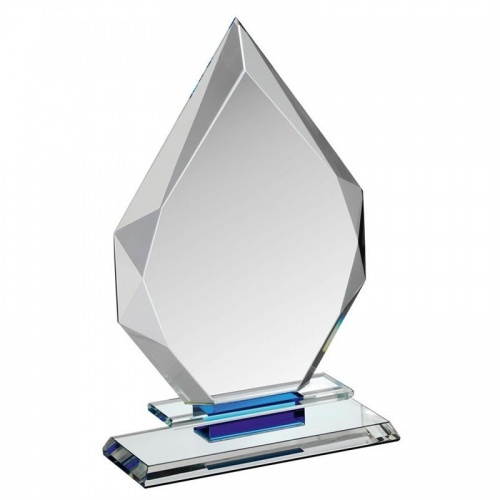 These awards are available in three sizes and can be engraved on the flat front of the plaque. These clear and blue glass awards are supplied presentation boxed.